CROSS THE MOST TECHNICAL SLOPES AND DESCEND WITH CONFIDENCE AND CONTROL. 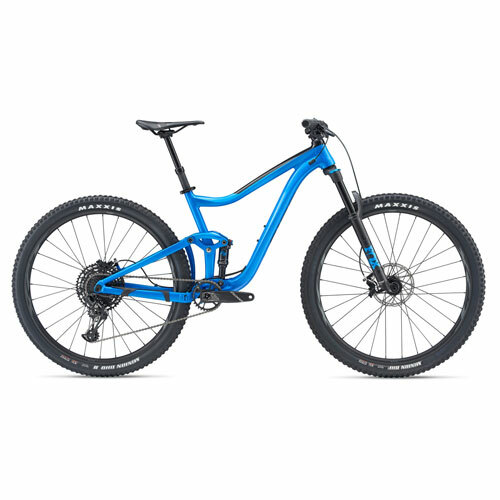 THIS NEW 29-INCH ALL-MOUNTAIN ALUMINUM HAS THE LATEST MAESTRO REAR SUSPENSION KINEMATICS AND A GEOMETRY ADAPTED TO ACCOMPANY YOU ON ANY TYPE OF TERRAIN. This versatile all mountain mountain bike is built around an Aluxx SL frame and Maestro suspension kinematics. To swallow every roughness of the terrain, from small ripples to big rocks, we have associated with this kinematics a Trunnion Mount damper and an Advanced Forged Composite rod. This combination offers 115mm rear travel, active and comfortable. At the front, the 130mm fork maximizes the performance of Trance 29 in the most engaged parts.